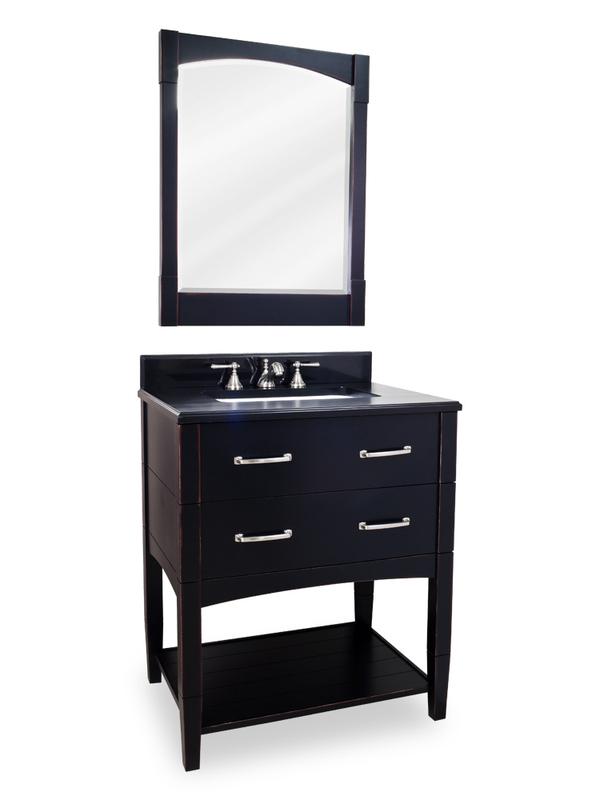 Simple, yet sophisticated, the 30.5" Myrtle Beach Single Vanity makes a poised statement for any modern bathroom. 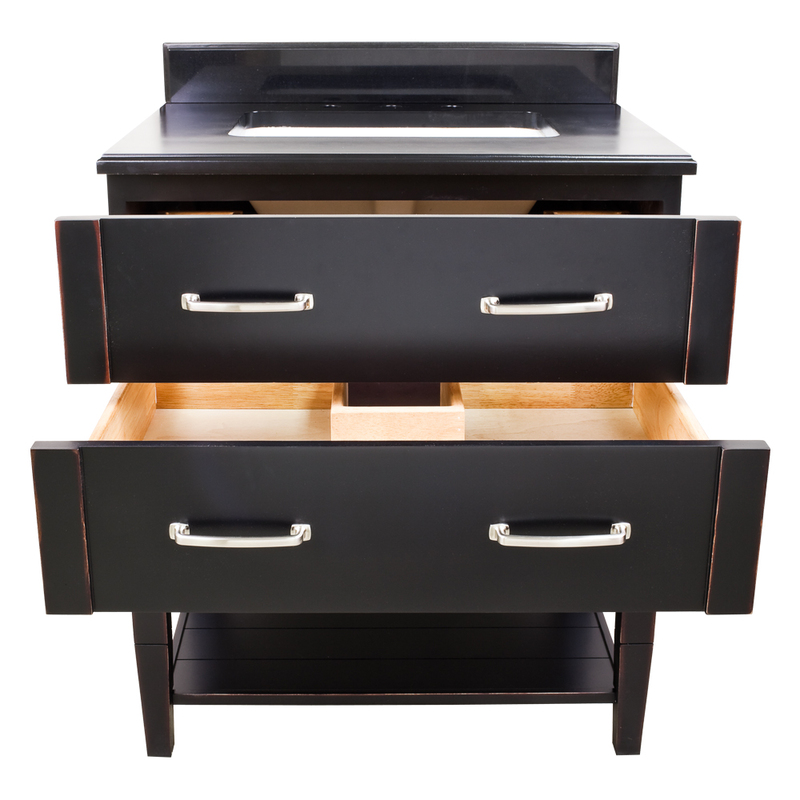 Featuring a solid wood construction with a warm, aged Black finish, the Myrtle Beach meshes the appeal of modern minimalist looks with a historic feel. 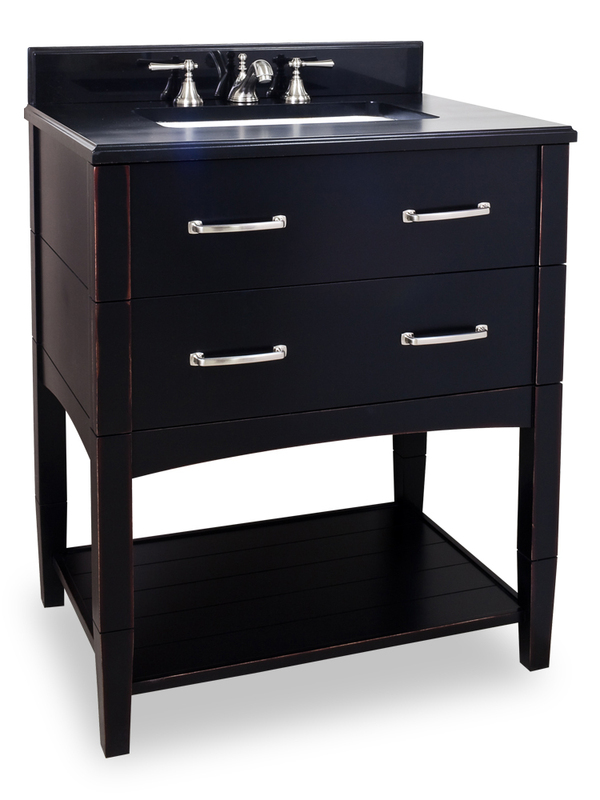 Satin nickel handle bars make opening up the 2 fully-functional drawers that are fitted around the plumbing. 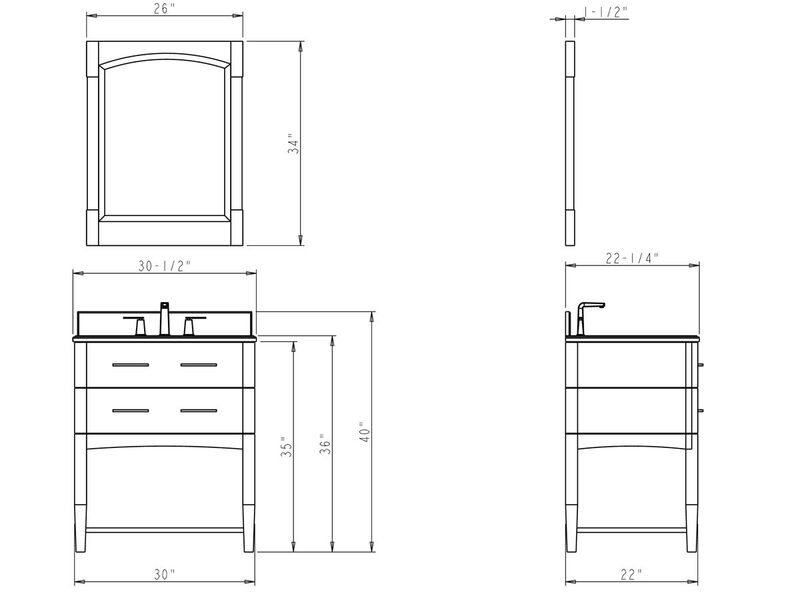 An open bottom shelf offers storage space that doubles as a display shelf for your towels and accent pieces. 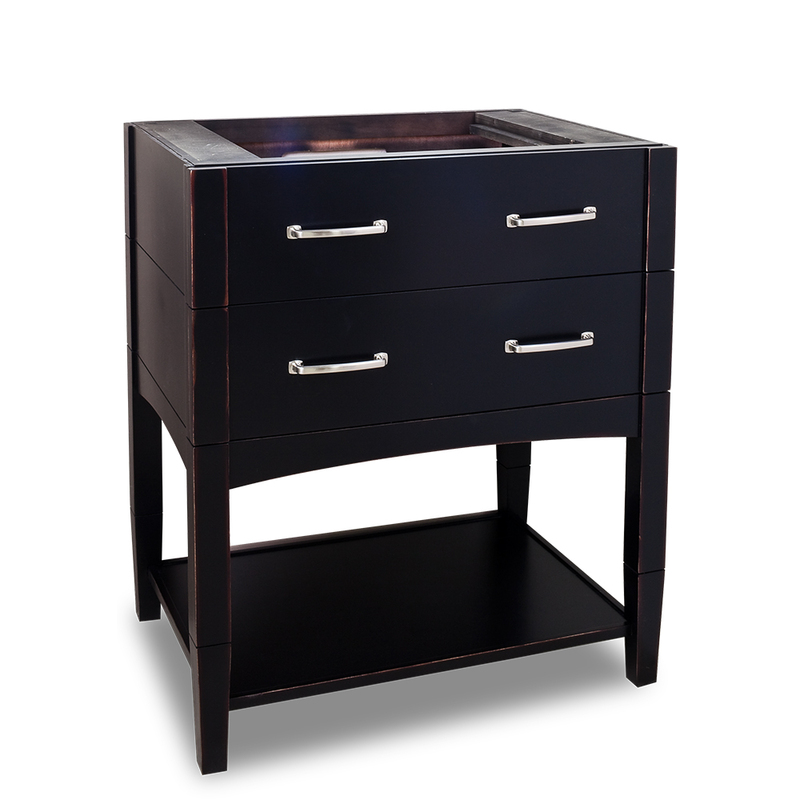 The coordinating black granite top gives it a gleaming finishing touch. 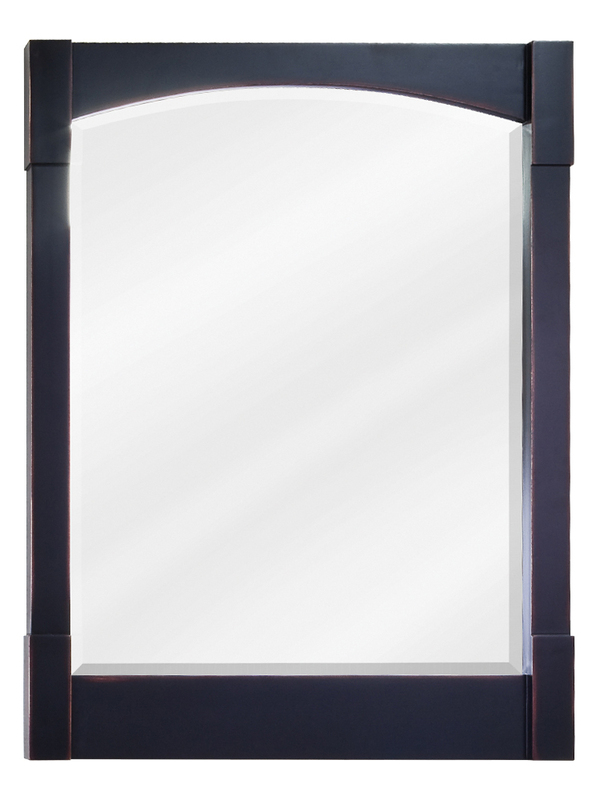 Match this gorgeous vanity with its matching mirror!